Frontier Park is a new mixed use development with planning consent for c 1m sq ft of industrial and warehouse accommodation. Speculatively built industrial/warehouse units are under construction and offer several unit sizes from 20,000 sq ft to 185,500 sq ft. Build to suit solutions are available from 100,000 sq ft to 400,000 sq ft. Frontier Park’s on site amenities will include a Euro Garages service area incorporating petrol filling station, several drive thru’s and a convenience store. 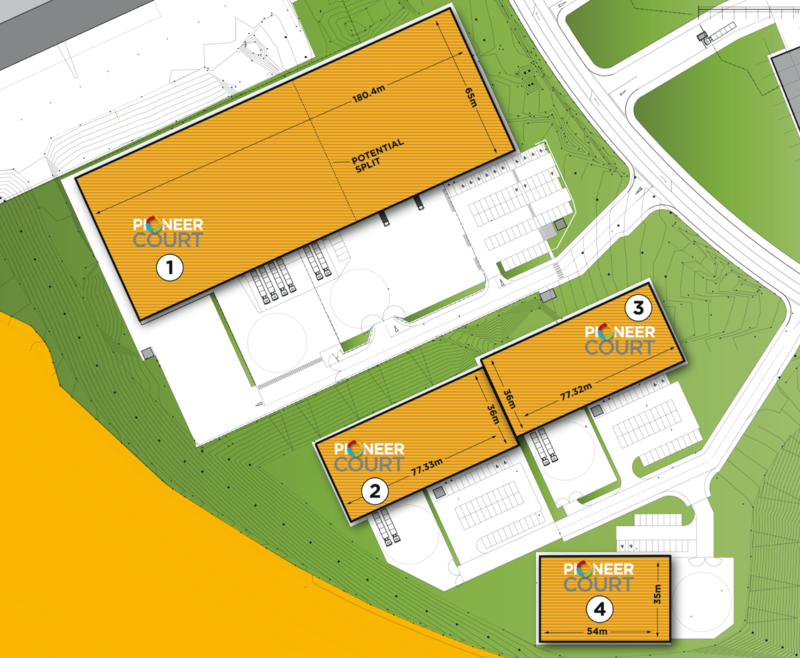 Pioneer Court is the next phase of development with Unit 1 – 135,310 sq ft available from March 2019. Units 2, 3 and 4 will be available June 2019. Units are available on a leasehold basis, please contact the joint letting agents for further information.